First off, congratulations to the King Pig for graduating from Porkton University. It’s something he should be proud of before he’s destroyed. Our strategy for Angry Birds Seasons Back to School level 1-20 is to lob the pink bird into the gap above the king pig, using her bubbles to take out some of the right hand side. Now destroy the left hand side with a direct hit from Terence. 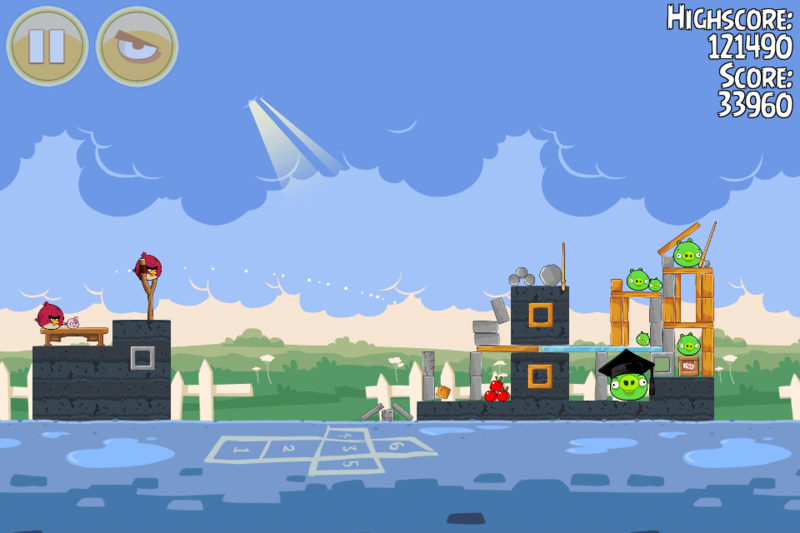 Finally, finish things off by lobbing the remaining pink bird above the King Pig, using her ubbles to rain down blocks on him while detonating the TNT. The score in the video is 111,390. 113k 3 birds-first send the bird in the same direction as the video, but instead of sending it up, send it straight just above the pig on the first structure, should take out everything but the king pig(perfessor pig), then send terrence just like the video. finally, fling the pink bird high so it will land right next to the pig or near it, should either float the pig up(if its not too heavy, LOL)or float bricks up then fall on him. good luck! BTS 1-20, 119060 w/2 Birds..
1st shot – High p/b lob to upper left edge of the solid dark grey foundation, ideally ricocheting downwards to the left through the pencils and “bubbling up” at the vertical wood block to the right of the ABC’s book. With a bit of luck the shot should take out the three left side pigs and hopefully some good additional collateral damage (points). There’s crucial points to be had here..
2nd shot – High big r/b lob to small square wood block just to the left of the two pigs above the king pig ideally passing downwards through the structure hitting the TNT, BANG!! There’s a “sweet passage” here which obliterates the entire right side. Please check out the 2 photos for the 2 above shots. Good luck and have fun!! good strategy @marc987 and those pictures really helped. Thanks so much for this wonderful alternative Strat @marc987! I’ve been struggling with so many different angles to get over the average and FINALLY after working with your suggestion, I did it! Thanks a lot for pics. I tried it uncountable times. If I got your first shoot well done I would blow up all things with Terence (I saw pics yesterday morning and played late night, didn’t memorize Terence’s path well, and didn’t go on line to check how you solve it). First shoot is really great. Nice strat @marc987 I got 121k with two using a different method, more difficult than yours but anyone who wants to have a shot here you go! 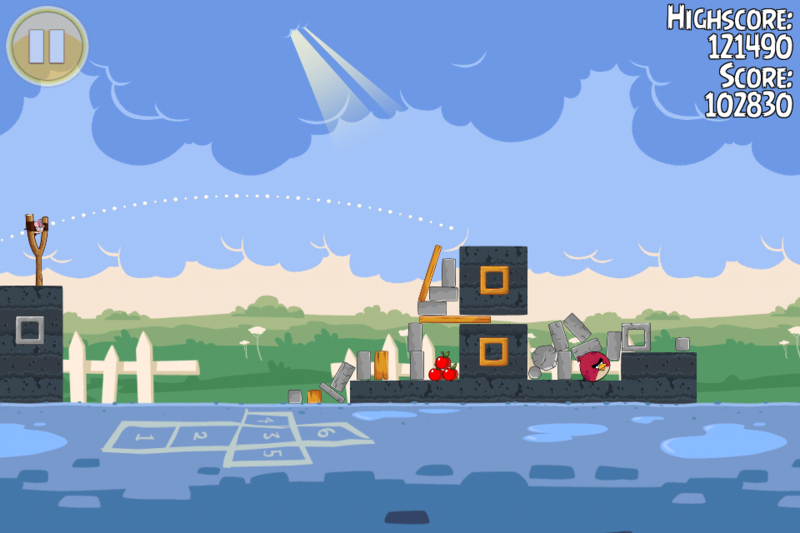 Bird 1 – shoot pink at the thick wooden block in the first tower. You want her to rebound and drop slightly before bubbling up near the horizontal wooden plank. If your lucky you can drag the lower legs of the tower out. Bottom line, you want all pigs gone in the front tower and have well over 30k. 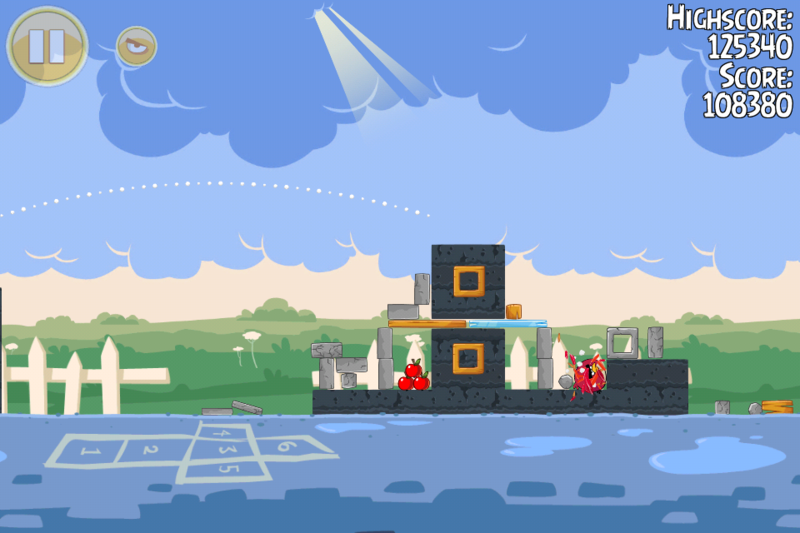 Bird 2 – shoot big red at the pile of stones, throwing them over to the far tower. Big red should follow them and go through to the TNT. The boulder usually drops down and takes out headmaster pig. Just got 126500 with your approach. Have to hit the top of the wood block for pink bird to drop straight down, then activate bubbles right at the top of horizontal stone bar, as you indicated. I had around 35k at this point. The aim red for the rocks. The second shot takes some luck, on how things fall. @foley200: Thanks! That was almost identical to what my screen looked like. I need to start remembering to take screen shots. Hey there old friend =) We haven’t gotten there yet on our daily threads (which I’ve missed you on), so haven’t posted yet. Not much different than what everyone has covered. The first one is key, I’ve gotten 40K+ on it but never with a good second. Hit the stone/wood to drop down and activate at the horizontal wood (drag bottom stone too). If it bounces away, reset. On most of my attempts, 33-37K is around the norm. The shot above was with a 33K initial shot. @moonsabre – hey my fellow Canadian buddy, thanks for sharing, you’re super! After dinner I’ll give it my best shot. Thanks Vic..
@moonsabre and @foley200 – Just cracked a 2 Birdie worth 126500, phew!! Perhaps there’s another (?) 1st p/b shot to start off the continued madness of BTS 1-20. 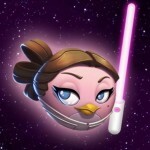 For me I’m off to my local “Angry Bird Rehab Center” for a much needed thumb rest, the closing 2nd shot almost killed me. Man, do I stink at that big red bird soft lob!!!! Anyway here’s another p/b opening shot – went high, targeting the upper most square stone below the diagonal wood beam. The goal of the shot is to backspin downwards as close as possible to the 1st structure’s front side and “bubble-up” when just below the lower horizontal wood beam hopefully sucking in the 4 vertical stone support blocks/beams for the collapse (“timber” !!). Don’t forget the top horizontal beam has to be dislodged first as usual. I was having much more success going “top” high for healthy results when finally I had the ingredients in place and knew what to do. Check out the pic, perhaps it just may help a frustrated “shooter”..
Super shooting @marc987, great alt shot as well. I’ll have to try it out at some point! Points are scarce at this point! Great strat here guys…looks like it was a group effort!!! Improved my score from 117720 to my current high of 125360 ;-)I hit up high on the cement square and wooden plank and got the “back spin” down to tap just below bottom horizontal wood plank. Then sent Red with the soft lob to the stone pile and…Kaboom! I was able to do it twice so far but I’ll have to come back for some improvement ;-) Sweet!!! @moonsabre thanks, I was throwing the first too low. Up to 125k with yours. Took three birds though so 130+ seems possible. Thanks @foley200 @moonsabre @marc987 and @AngryAdvisor the depth and breadth of your advice were so helpful and kept me going. An enjoyable level, episode and debutant (pb)! @moonsabre – Just checked your 1st p/b shot pic just to make sure I wasn’t talking a lot of “bird crap” when I wrote about, “perhaps there’s another p/b shot” and ” went high, targeting the upper most square stone below the diagonal wood beam”. For sure my trajectory is much higher, promise me to try it, maybe you’ll get some extra points on me! Take care buddy, Marc.. Thanks for the tip Marc! The soft lob on the second seems to be better to keep Terrance centralized rather than blasting through the back. Enjoyed the episode and the newbird,ABN’s video and all the tips lying around here helped immensly to complete these twenty levels. Thanks a bunch. Will try later to improve the score above average. There are many ways to play this one. I used the following strat: Pinky arced high dropping on top of the centered Boulder and picking them up. Their direction of flight relates general opposite of where you acquire them. Drifting right and dropping the big one to strike just over the tip on the black cap. This breaks the flooring and either takes the right side out or partially collapses ir. If only partial The 2nd shot is Big RB to knock out all of the left tower at lower seam and then use next Pinky to high arc onto the Black Hat and either pick him up or the debris above him and drop it. At the very least this is a fun way to play it. I used the same strat as @foley200, but not enough debris and got 123470, but like @marc987 I am checking in the “Angry Bird Rehab Center” LOL, BTS has proven to be a bit of a challenge to get into the top 100 on each level. Here is my 2 birdie video. The last one to 3 star and it turned out to be the easiest one of all, strange that, they usually make the last one the toughest to beat. I did this one without even looking at the video, as it turns out, I was doing it exactly the same.